Wootz! this is so awesome. 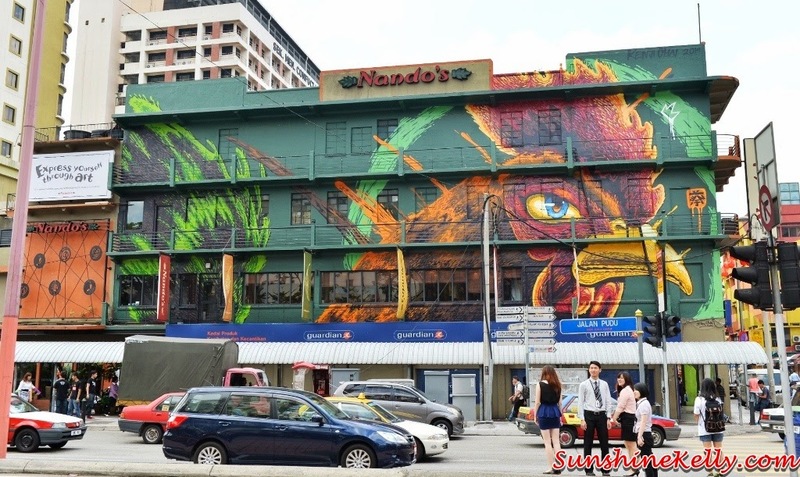 In conjunction with Nando’s Art Initiative 2014 launch, Nando’s Malaysia unveiled the graffiti mural named Fighting Cockerel by Kenji Chai that covers the entire façade of the Nando’s Chinatown outlet last Wednesday; the theme for this year competition is Alive. 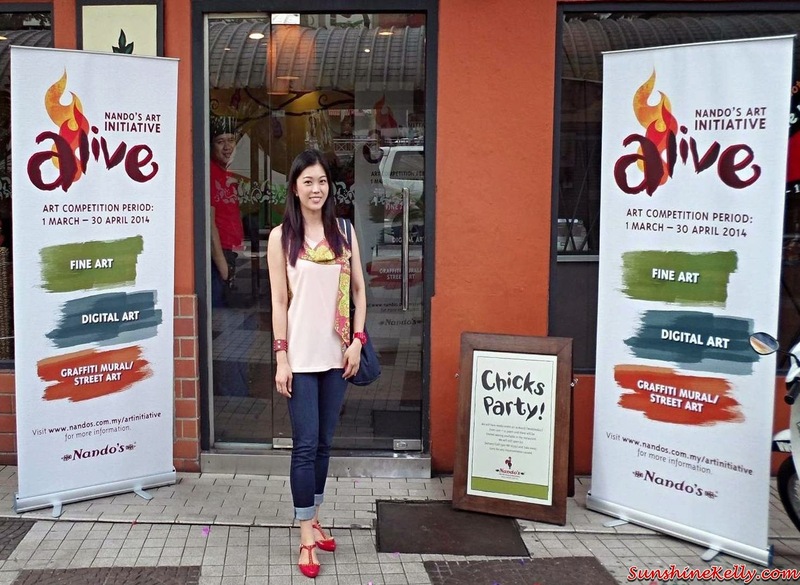 Nando’s Art Initiative was introduced in 2008, the Nandos ‘Peri-fy Your Art’ competition has served as a platform for creative expression and development. As digital art and graffiti grows in popularity, these are the two new categories for this year’s competition. 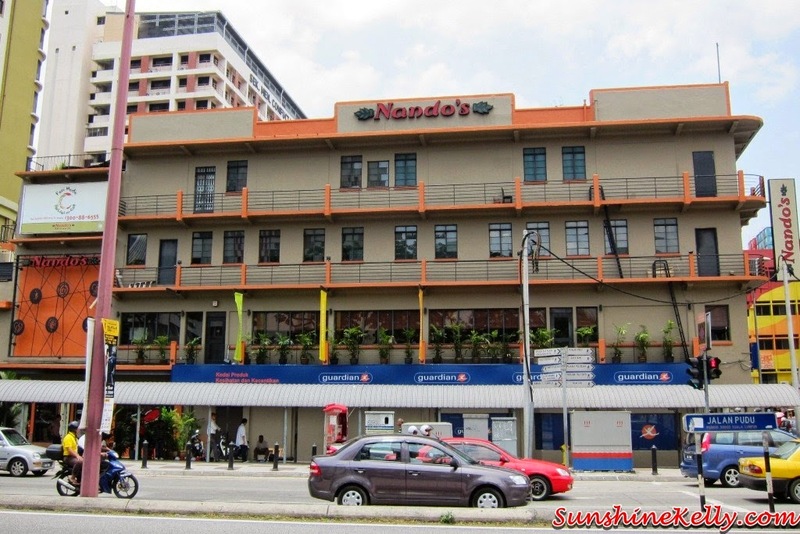 Nando’s has also expanded the competition age requirements to include all Malaysians aged between 18 to 29 years old. This year’s competition judges comprising Rachel Jena, Art Editor of TimeOut KL; Ali Bebit, former winner of Nando’s Peri-fy Your Art competition, now acclaimed artist and sculptor; Nini Ramlan, Head of Content Innovation at Primeworks Studios, painter and illustrator; Bee from Phobia, graffiti artist; Ian Cruddas, CEO of Nando’s Chickenland Malaysia Sdn Bhd; and Mac Chung Lynn, Group CEO Nando’s Chickenland Malaysia Sdn Bhd.